Opera Chic: New recordings from old times: Toscanini strikes back. New recordings from old times: Toscanini strikes back. 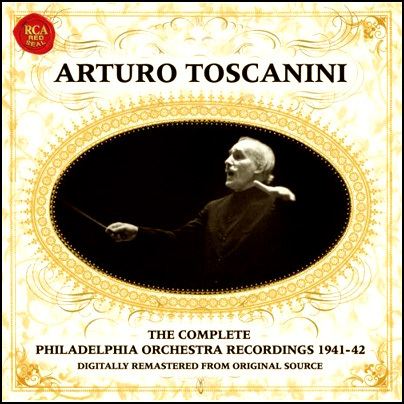 Arturo Toscanini's brief tenure with the Philadelphia Orchestra in the early 1940s is one that customarily slips from the memory, which is why a brand new Toscanini box set release is so exciting. From November 1941 to February 1942, a 75-year-old Toscanini worked closely with the "Fabulous Philadelphians", and left behind a rare cache of recordings. RCA Red Seal has recently released the "digitally remastered" sets, which include recordings of Schubert's Symphony No. 9 in C major, Debussy's "La Mer", Berlioz's "Roméo et Juliette", and Tchaikovsky's Symphony No. 6, "Pathétique." Quotes Tne New York Sun, "...Every Toscanini fan will want this set. It is recommendable to Toscanini skeptics as well — because the Philadelphia recordings show the maestro at his very best." Many have not been so keen on Toscanini's relentless conducting style throughout the years. And we all have heard the horror stories about Toscanini's treatment of his orchestras (famous anecdotes: the time he got so angry at the La Scala orchestra that he ripped off his own shirt in a fit of uncontrollable anger; the time he pointed at a soprano's ginormous decolletage screaming, "Ah, if only those were brains!") And even if Toscanini was capable of adding to the mixture an insane amount of praise ("I yell at you because you are the best orchestra in the world", he used to explain to his terrorised professori d'orchestra) nobody today would dare act like he did. 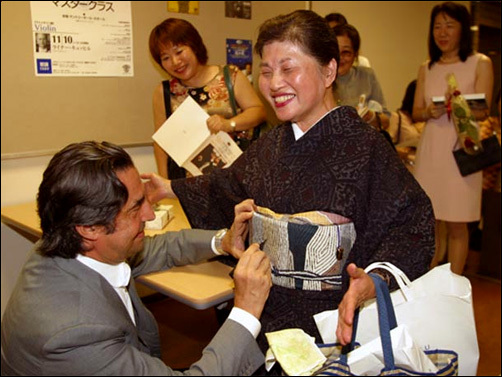 Toscanini's behavior would nowadays send him to jail or to Anger Management classes (not to mention the sexual harrasment lawsuits) and the newer generations of conductors have learned the lesson: you can push the orchestra only up to a point. "Quando dirigete, cercate di non rompere le scatole all'orchestra", che non significa lascia fare all'orchestra ma una volta che tu hai messo in moto il motore in un certo modo non devi disturbare gli esecutori su un cammino che tu stesso hai indicato". Literally, the lesson is you should not break the orchestra's boxes, i.e., you should not break their balls. You must trace the path, start the engine, and then try not to disturb.